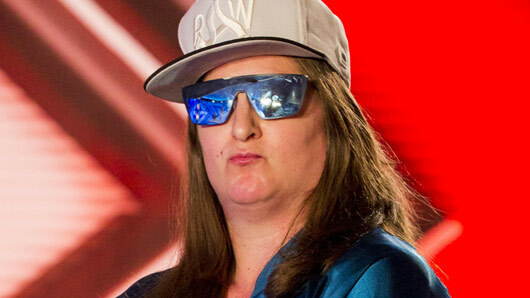 Much to our complete devastation, Ed Balls has declined the dance-off request from X Factor‘s Honey G.
Honey G decided to settle the beef between herself and Ed during the X Factor live show on Saturday by challenging the Strictly Come Dancing contestant to a dance-off. A rivalry formed between the two contestants last week when Ed implied he was at least getting better at dancing, unlike Honey G’s rapping. He told The Daily Star newspaper: “I’m definitely aware of Honey G. I’ve seen a couple of YouTube videos. Following her live mash-up performance of “It’s Like That” by Jason Nevins and “Gettin’ Jiggy With It” by Will Smith, Honey put forth her challenge to Ed. A great shame. The mental image alone is truly glorious. « Which X Factor judge has “virtually zero contact” with their acts?